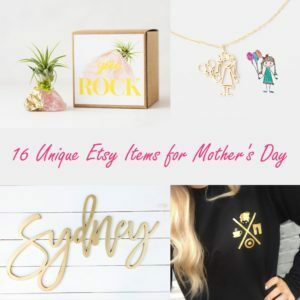 Etsy is filled with listings of unique & heartfelt products, but for this post I compiled some of my absolute favorites for Mother’s Day. Moms can be so hard to shop for, which is why I am providing this cheat sheet 😉 Moms, if you are reading this, feel free to share this post with your husband and/or kids! This post contains Etsy affiliate links. These do not change your buying experience or your price, but simply help to support Adore Them through a small, referral fee.